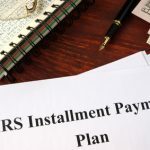 Nick Nemeth, a highly qualified tax attorney and the founder of a Dallas, Texas, law practice, has highlighted several key steps that taxpayers should take when they have an IRS tax disagreement. Dallas, TX –July 7, 2014– IRS lawyer Nick Nemeth has just published a new blog entry on his website. 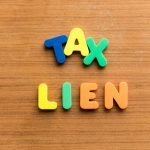 As the Law Office of Nick Nemeth PLLC founding partner and experienced tax attorney at the exceptional legal firm that serves the Dallas and Fort Worth metroplex region he is well qualified to offer advice to taxpayers who have a dispute with the IRS. The newest blog post has the title “Facing IRS Controversy: Where to Begin”, and it covers a number of things that taxpayers can do which are practical. 1) Find a qualified and experienced tax attorney to represent you. Trying to handle the IRS on your own is foolhardy, and it can be a very costly mistake. You need someone to help you who understands the entire tax code and who has experience dealing with the IRS on a regular basis. This will prevent the IRS from gaining any advantage or trying to scare and intimidate you. This will generally lead to a more favorable outcome with your case, and could also save you money in the long run as well. A tax attorney will place you on an even playing field with the IRS. 2) Make sure that you understand any deadlines for information or documents that the IRS has asked you for. When the IRS contacts you concerning a tax dispute they will give you a specific frame of time to return anything that they are asking for. If you fail to submit everything requested before the deadline given then you could face higher penalties and bigger interest amounts as a result. Don’t make things worse or make your life any harder than it has to be, make sure you meet the deadlines given by the IRS. 3) Keep your tax records and documentation well organized, so that you will be able to quickly find any supporting documentation without a lot of searching and time wasted. 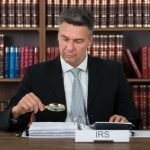 When the IRS initiates a tax dispute they are going to want records and documentation, and it is in your best interest to provide these as soon as possible. 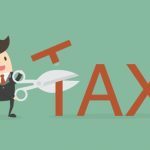 This will help you get a better outcome from any dispute with the IRS over taxes and avoid a higher tax liability. As soon as you realize there is an IRS tax dispute gather all of the relevant records and documents and keep these organized in case the IRS asks for them. Nick Nemeth has been working as a highly regarded tax attorney for close to two decades, and in this time he has also written a number of best selling pieces which include blog posts and articles. Nick specializes in helping the taxpayer, who is often seen as the little guy who is constantly trampled by the IRS.